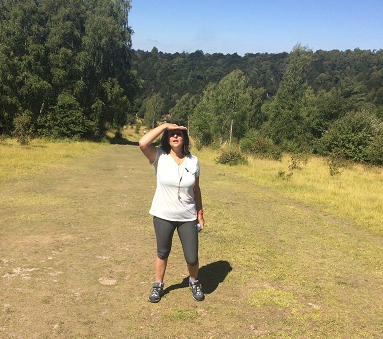 Last week Noreen successfully climbed Box Hill in Surrey as part of her preparation for climbing Mount Snowdon. It was a long, hard slog and in scorching heat, too, but she did it. She literally crawled up the last 200 metres on her hands and knees and only got to her feet at the top for the final photo! A mark of the determination Noreen has to ensure she completes the challenge and raises as much money as she can for Westminster Befriend a Family. 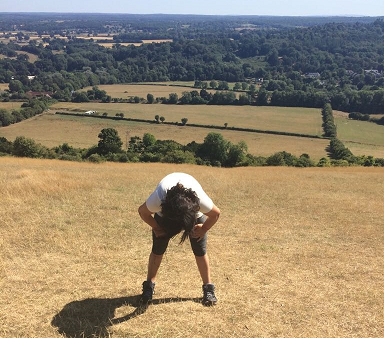 It may not be in Snowdon’s league but it’s no mean feat climbing Box Hill. 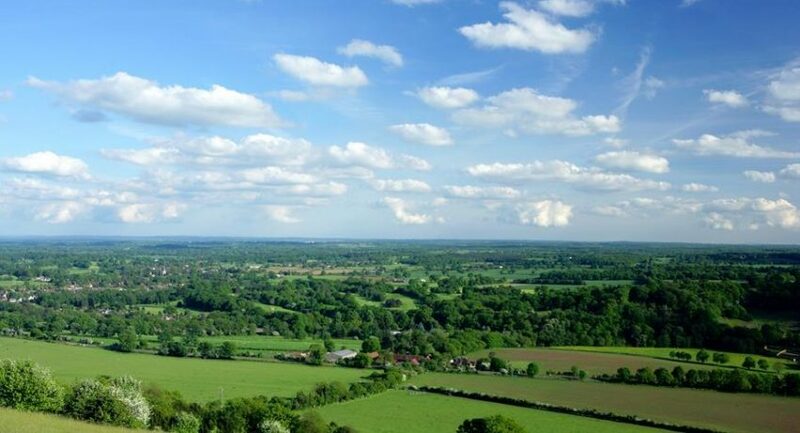 It’s the summit of the North Downs and situated about 30 miles south-west of London. The ‘hill’, which takes its name from the ancient box woodland found on the steepest west-facing chalk slope overlooking the River Mole, is 735 feet high. Not exactly what you’d consider as an easy afternoon stroll. If you’d like to support Noreen along the way, please donate whatever you can by clicking the donate button here: http://www.befriendafamily.co.uk/donate/ and tell your friends to do the same. Thank you. You can also read one of our stories http://www.befriendafamily.co.uk/bonded-together-again/ that show the kind of work we do to support some of the poorest, most vulnerable families get back on their feet.